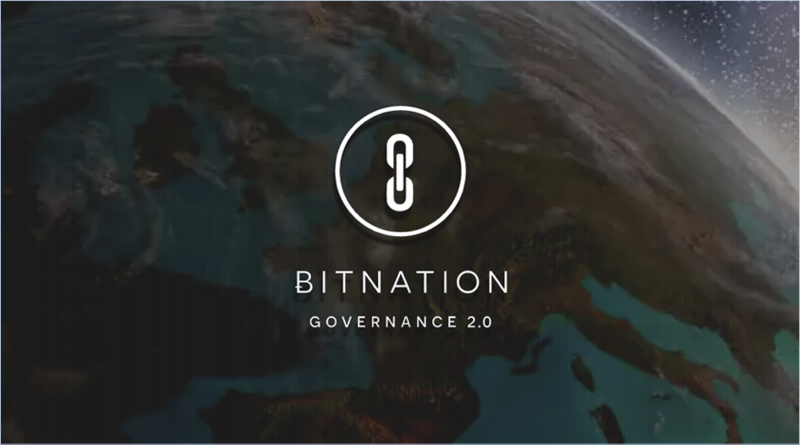 The Bitnation community is in the process of developing a DIY governance platform. Recently it has registered the constitution of the Decentralised Borderless Voluntary Nation (DBVN) in the Ethereum. The Bitnation founder Susanne Tarkowski Tempelhof and lead Ethereum designer Alex Van de Sande conducted the Bitnation consitution declaration event in Rio-de-Janeiro. The meeting was announced on Facebook with the motto: “Create your own nation in 140 lines of code”. The record is available on YouTube. Bitnation has carried out several research projects and developed successful prototypes of the bits of the future nation. First blockchain marriage and first blockchain id are among them. One of the more ambitious projects included the land registration system for the government of Ghana, where 70% unregistered land is stalling development and investment in real estate and leasing. Bitnation has also collaborated with the Estonian government in the course of the new blockchain notarization service for the estonian e-residents. At the same time Mr Scott, a proponent of a communitarian social-libertarian position, criticised Bitnation's views on the future without governments as radically technolibertarian. According to Mr Scott, contemporary democracies are well equipped to represent their entire citizenships' best interests. “The left-versus-right-wing libertarian debate is rather pointless, in my opinion, because on a free market for governance, you can choose whichever economic model you prefer,” said Tarkowski Tempelhof. “For instance, you can choose to live in a communist commune like a Kibbutz will full economic redistribution, or a capitalist city like Hong Kong or Singapore centered around trade, commerce and private companies. Or you could choose a combination of the two. Having a free market doesn't imply any specific economic model.”.